As creative types we tend to get the lucky end of the stick when it comes to office dressing. I’ve never had to wear a suit to the office, nor would I want to. And from the chicest fashion lines to creative offices, most foster a stylish, yet comfortable environment where denim is not only acceptable, but encouraged. Denim, though beloved by most can sometimes be as fickle as this New York City spring weather. It can come in waves, from being on top of the world, to taking a backseat to mini skirts, A line dresses, or currently, printed pants and trousers. But no matter whether it’s trending or not, denim is usually the go to for comfort, ease, and flexibility. Right now, its is expressing it’s forte through a number of genres, including ombre and tie dye, weathered, prints, and color. Here are 5 ways to style your denim this Summer…. 1. Denim on Denim. Be careful. There are canadian Tuxedos aplenty, but I actually happen to love wearing dark skinny jeans with a lighter button down oxford. The contrast works, and is slightly unexpected. 2. Under a short dress, or skirt. I used to rock this look in high-school, but something inside me has recently brought it back. All fashion, if it spoke to you at one time, deserves another spin in the cycle right? Sometimes you don’t want to wear something so short, or you’re sick of leggings, and then other times, you just want to slip on a good pair of jeans, even if you already have part of your outfit established. Try it out for yourself. For this look, it’s best to stick with skinny or tapered jeans. 3. 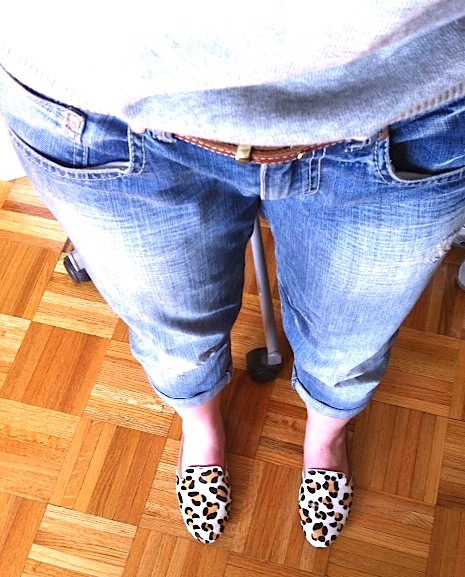 A comfy boyfriend jean is always stylish. 4. White Out. I don’t follow archaic rules, and neither should you. That’s why I completely condone white jeans, whenever you damn well please. Joe Fresh makes a great, straight legged style for only $30! See how I styled mine below..
5. When in doubt, Roll with it Baby. Something as easy as rolled jeans for a ‘effortless’ look can spruce up an outfit instantly. Cute with flats, or heels. 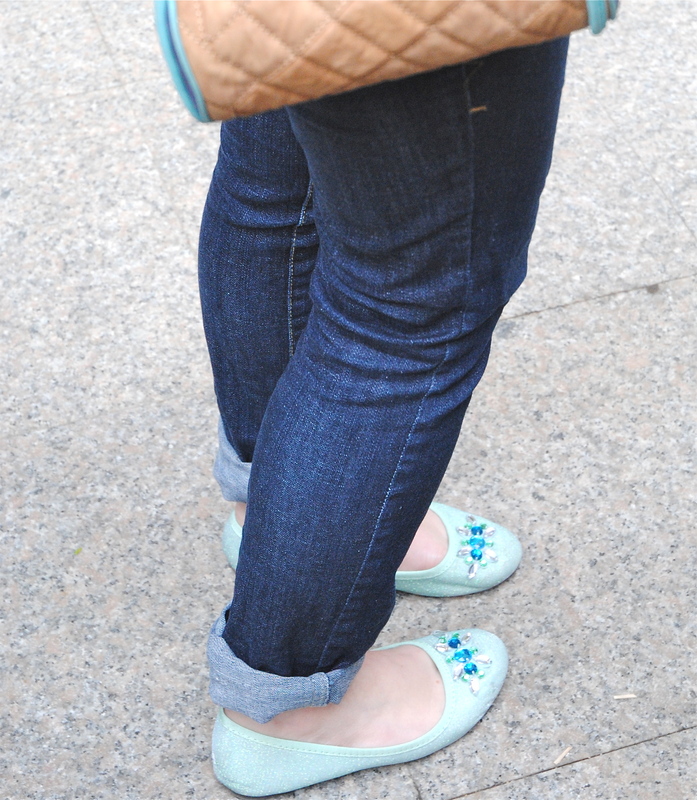 This post was influenced and inspired by this week’s IFB project; sharing your fav denim look.